We spend a lot of time on reading and writing skills. We use the Spalding program to teach the sounds and letters. Each child moves through the process at his own pace. For example, one child might be working on "m" and "c," while another child is working on "mop" and "cop." 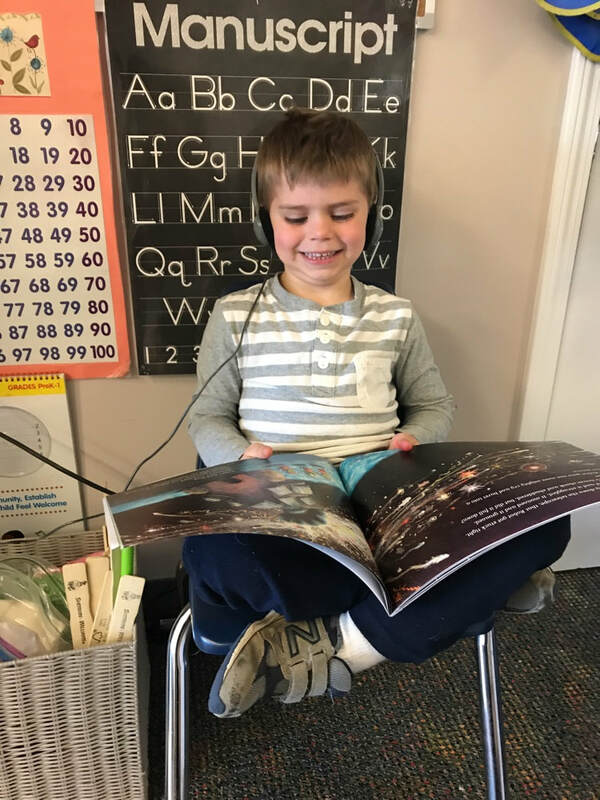 We expose the children to the sounds and letters as much as possible, so when their minds are ready, the opportunities are right here. We practice the early stages of reading & writing. 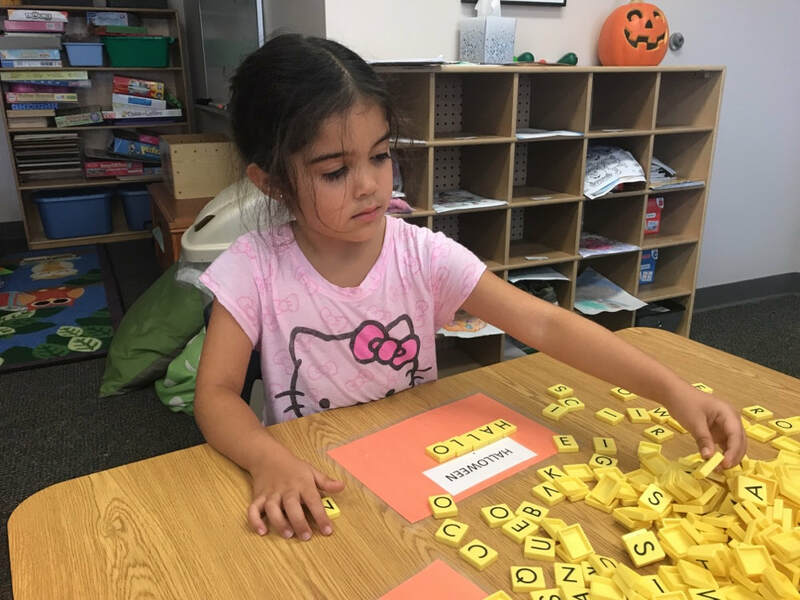 Sight words are words children memorize simply because they see them so often, such as Mom, love, and the. The children enjoy pointing out their sight words wherever they see them: in a book, on a sign, even in a recipe. As the children grow, each child keeps track of his sight words. Eventually, the children recognize so many words they stop keeping track of them. In the beginning, children create straight and curvy lines. Then they write their names and their sight words. Later, they write new words such as "dg." (That means dog.) Providing opportunities to write is important. For example, after the exotic animals visited, we made a poster with the names of our favorite animals. At Alpine Academy, we prepare the children for success. People often ask at what age our students start reading. At the end of preschool, most children can recognize 10 to 30 sight words. They can also sound out simple words. How well children do this depends a bit on the quality of the teacher, a bit on how much individual and small-group time the child gets with his teacher, a bit on how often he practices with his family, and a lot on when he is ready. At Alpine, we give children the chance to sprout any day. Starting at one year old, we work on small motor control with the fingers. 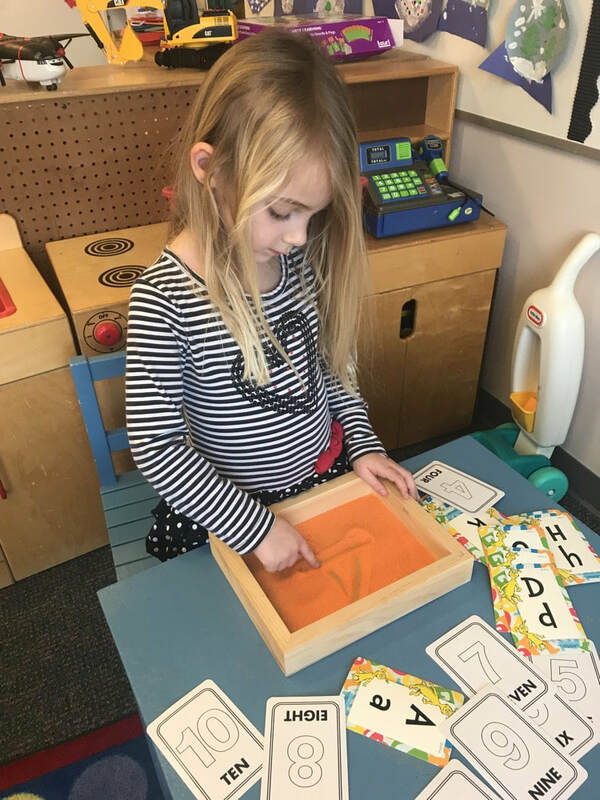 At two and three years old, we are practicing the typical pencil grip and the eight standard strokes (straight, slant left, etc...) When children are four, we are working on all the letters all the time. Listen as little Chloe spells her name!